The experienced team of realtors at Virginia Estates can assist you with all your Prince William County, VA real estate needs. If you are thinking of buying or selling a home in Northern Virginia, Prince William County real estate is in high demand with the county being one of the highest-income counties in the country. With its close proximity to urban job markets and our nation’s capital, it is no wonder why the county’s population is close to 440,000 inhabitants, ranking it second among the Commonwealth’s most populous counties. In addition, Prince William County Public Schools [title tag: “Learn more about public schools in the Prince William County VA real estate market.”] rank among the nation’s 100 Best Communities for Young People and is the second largest public school system in the Commonwealth. Further, its high schools continue to place among the top nine percent in the United States, according to “The Washington Post” High School Challenge, 2014. If you are interested in homes for sale in Prince William County, there are many cities and towns with a variety of inventory that may suit your needs. The city of Manassas is the county seat and has become a heavily sought after community for real estate in Prince William County and Northern Virginia. That’s right: Quantico, and it just so happens that the U.S. Department of Defense is one of the top employers in the region. And with easy access to Interstate highways I-95 and Route 66, it is not surprising why so many people decide to live in the county’s communities and commute to workplaces in Washington, D.C., and metropolitan Northern Virginia. Prince William Forest Park is located in eastern region of the county and boasts more than 15,000 acres of protected natural resources. Manassas National Battlefield Park, is situated north of Manassas and pays homage to two major American Civil War battles: the first and second battles of Bull Run. If you are interested in buying or selling a home in Prince William County, contact Rick Walden and the team at Virginia Estates today. Our Virginia realtors and agents list some of the most beautiful properties in the Commonwealth. 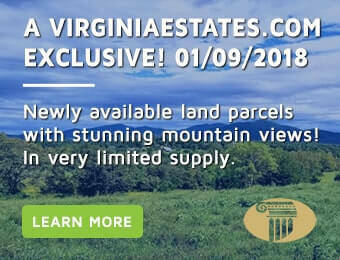 We have our eyes on the pulse of the entire Virginia real estate market, including Charlottesville, Richmond, the Shenandoah Valley, and Prince William County. Call (877) 646-8800 or e-mail an agent today: rick@virginiaestates.com.